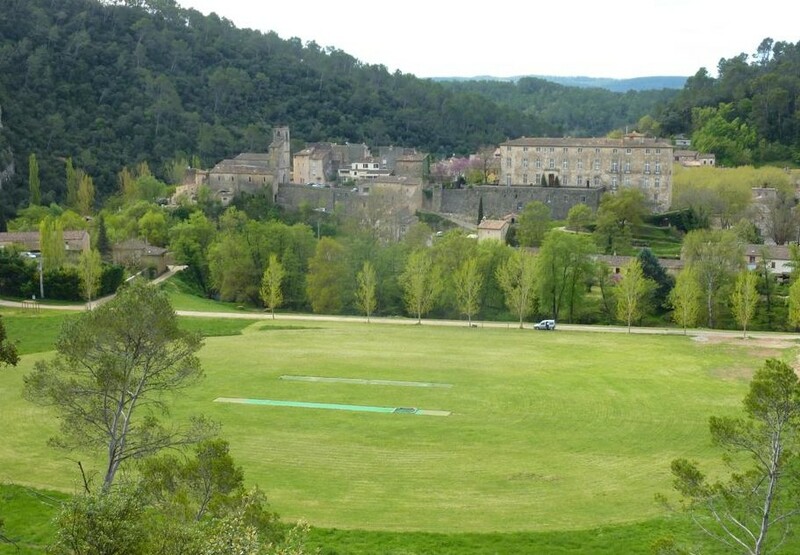 Entrecasteaux Cricket Club is situated in the heart of the Var département of France, deep in rural Provence, mid-way between Marseille and Nice. We are a young club (founded in 1999) with young and older players with members aged from 9 to 70. We welcome visiting teams to play our mixed ability players. We especially welcome new members, both as players and supporters to help in the many roles that go towards making cricket happen at Entrecasteaux. Entrecasteaux is located in the green valley of the Bresque river and surrounded by wooded hills. This typical Provençal village has kept its original charm that goes all the way back to the 11th century. History lovers will be enthralled. The whole village has been classified as a historical monument, with it’s ancient houses and the fortified church, St. Sauveur. Entrecasteaux is one of the prettiest towns of the region. There are charming 16th century houses, decorated lintels, vaulted passages and mounting streets. These old paved streets, lined with tall and narrow facades, complete the picture of a medieval village. The most important building is the castle in the centre of the village. It was built in the 16th century on the ruins of an 11th century fort and was transformed in the 17th and 18th centuries. It has been perfectly kept and restored. It was the residence of many Provencal nobles and boasts a garden designed by Le Notre. Our cricket pitch lies beneath the castle alongside the fast-running river Bresque. Very long shots have been known to reach the river, but not often! Visiting teams can combine a cricket match with local sightseeing, golf and visits to the coast. A very big thank you to Blevins Franks who sponsor our annual Sevens event.